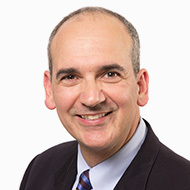 Winnipeg dentist Dr. Ernest Cholakis obtained his DMD in 1982 from the University of Manitoba and his MBA in 2002 from the University of Chicago Graduate School of Business. He had attended the very first University based “Esthetic Continuum” at Case Western Reserve University in 1992 and followed that up with a continuing education certificate in Cosmetic Dentistry from UCLA in 1998. He then attended the Misch Institute program in Implant dentistry at the University of Pittsburgh. Dr. Cholakis received his fellowship in the International College of Oral Implantology in 1996. Since that time Dr. Cholakis has placed and restored thousands of dental implants, making him one of Winnipeg’s most experienced dentists in placing and restoring dental implants. He maintains a private practice in Winnipeg devoted to implant and restorative dentistry. Academically Dr. Ernest Cholakis is an Assistant Professor and Co-Director of Dental Practice Management Studies. 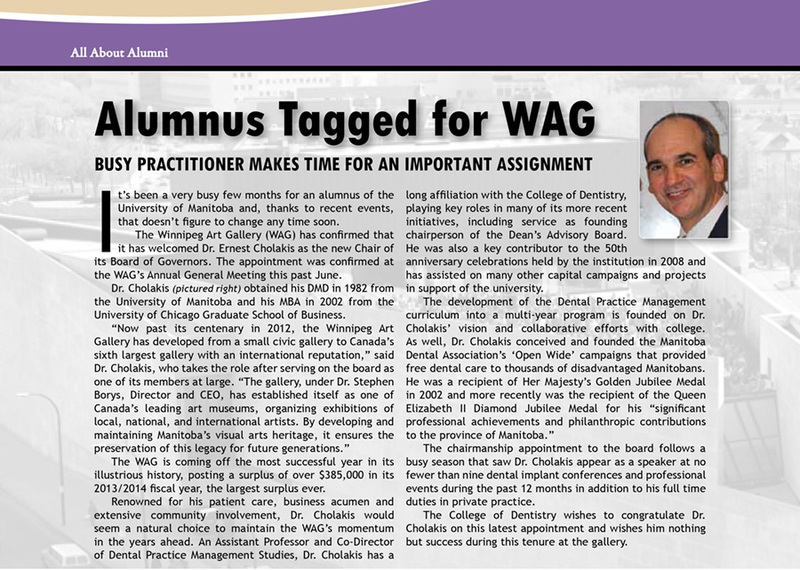 He is also the Founding Chairperson of the Deans Advisory Board, Faculty of Dentistry, University of Manitoba. Dr. Cholakis conceived and founded the Manitoba Dental Association’s “Open Wide” Campaigns that have provided free dental care to thousands of disadvantaged Manitobans. He was a recipient of Her Majesty’s Golden Jubilee Medal for his contributions to the dental profession and his community. In June, 2014 the Winnipeg Art Gallery welcomed Dr. Cholakis as the new Chair of the Board of Governors. In fall, 2015 Dr. Ernest Cholakis, along with Dr. Jose Viquez, launched InStyle Dental, a cosmetic dentistry department within the Cholakis Dental Group. We are very pleased to announce the opening of our 2nd location of InStyle Dental, coming soon!